Ended up sleeping near a small marina last night. I slept unusually well. Now you see, I never intended to go to a really famous place when I first set out from Japan 8 months ago. The name of the game was off the beaten track. Venice is about as beaten as you can get, but it does not disappoint. First impressions were ‘yikes, I took a wrong turn and ended up in Disneyland’. People everywhere. The entrance to the city is amass with busses and parking buildings. In the center of the city is a huge square, with people lining up in droves to get into the best attractions. Ugh. First impressions were not good. However after a nap in the early afternoon, I began to feel more at home, noticing the smaller things as I wandered the almost completely deserted side alleys. 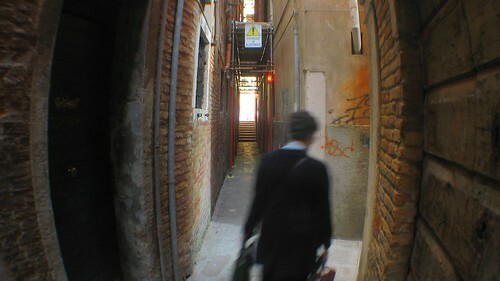 Walking in the unassuming alleyways, you get more of a feeling of a normal city. Meeting the locals is always fun. Streets so quiet, you could sit there for hours, just watching the shadows. I took more video of Venice than I did photos. When time permits, I will do something with it and upload. Until then we’ll have to be content with stills. 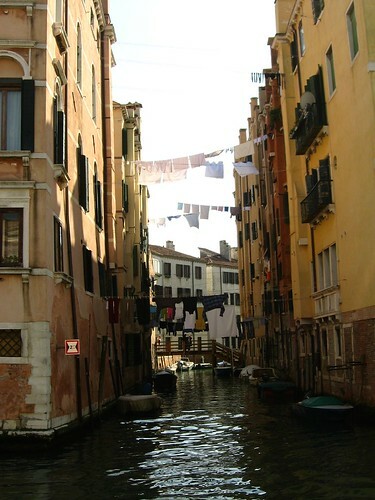 I wonder how people get their washing out across the canals? Must have some sort of pulley system. The crowded places in Venice are disappointing, but you'll find many areas where you will be alone with that beautiful city, so rich with culture and history. It might be difficult at first to catch the real deal of that city, but if you understand more about the culture in Europe, you'll see that a lot of important things and people had to do with that city; music, opera, artistic glass, literature, politics, trading etc. So, I think the disneyland impression will be gone by the time you go to the island of Murnano, where the old glass workshops are and where you can watch the old "Maestro" doing their wonderful art of glass-making. If you have the time, take a tour to the "Doge-Palace" the main building, up to under the roof, where the jail of "Casanova" is to be seen and on the other floor lots of wonderful paintings of famous artists. For me, Venice is not a city for "Lovers", which is an "American Image" created by Hollywood in the 50's, which is OK for the travel industry but which has nothing to do with Venice's overall attraction. 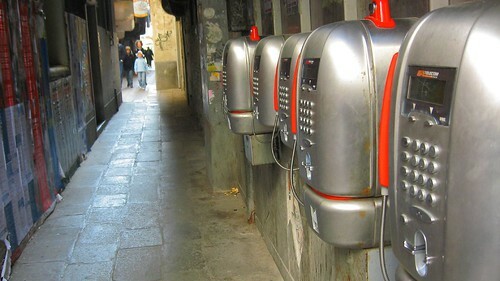 Hopefully, at the beginning, you will have a first good impression of that city, despite all the masses and see that even there, you have the chance to visit Venice "off the beaten track"
I hope to see some more of your fantastic pictures. By the way, did you get to celebrate Easter anywhere in Venice? Sure the Catholic Church would have had a bog something? 3500 young people plus camp parents etc are meeting this year at Spencer Park for Easter Camp. 90 of those are from LBC – includes our young people, their friends and kids from Lincoln High School who have been befriended and mentored through the 24/7 programme. Your Mum tells us that 300 are at the camp from Spreydon. It rained all of yesterday but was sunny on Thursday and Friday and is sunny again now. So tents were put up dry and will hopefully be packed up again in the dry tomorrow. 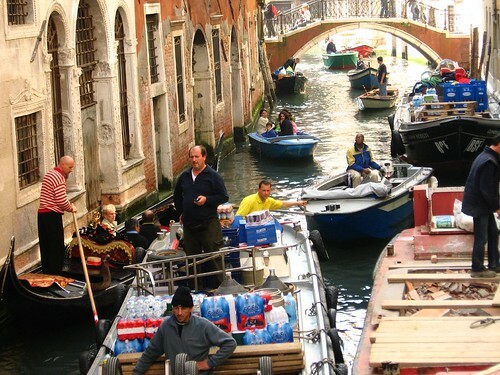 See if you can get a ride in a Gondoler through the canals. 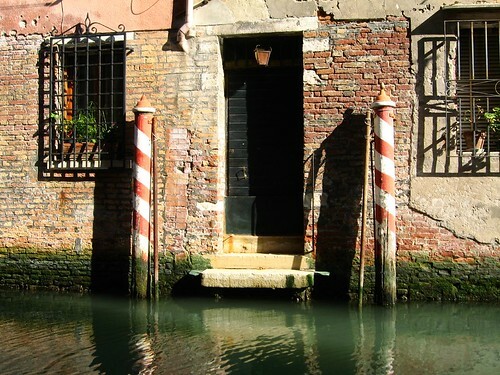 I haven't been to Venice myself but have heard that you get wonderful views of beautiful buildings from the canals. Haha, yeah. That'd be funny. Having played a lead role in The Gondoliers, you can't NOT go in one.